When you’re super busy at work it can be extra hard to stay on the keto diet. Overall, eating healthy is difficult when you have a full-time job. But, staying healthy and eating the right foods is possible no matter how busy you are. 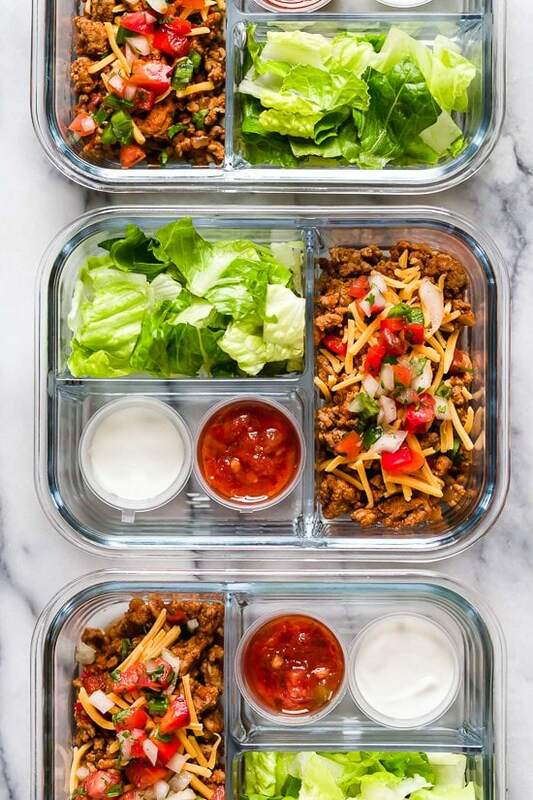 I’ve shared a bunch of keto lunch ideas, crockpot recipes, and even a weekly keto meal plan. However, none of them are going to be useful if you have no time to cook or at least have no time to cook more than twice a week. 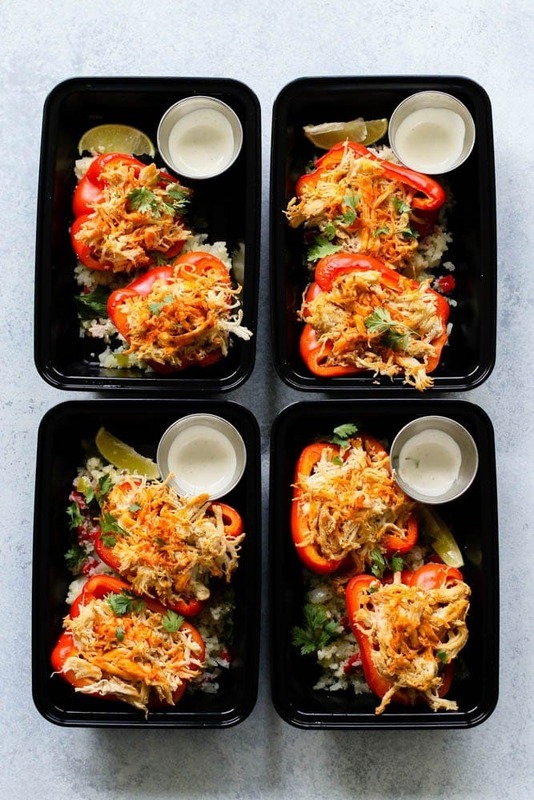 So, I thought I’d share multiple keto meal prep ideas to give you a bit of inspiration and show you that it’s possible to eat low carb even with a busy lifestyle. Eating a keto diet isn’t hard if you spend an evening or two a week to cook for the rest of the week. 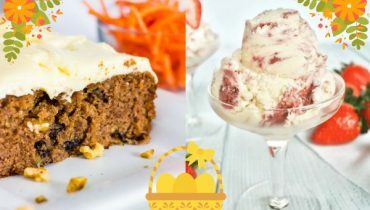 So, try these recipes and have fun with them. If you’re a fan of Thai cuisine, you’re going to love this one. The great thing about the recipe is that it’s ready in under 25 minutes. So, it’s perfect for a quick lunch meal prep on the work days. The turkey is cooked in peanut sauce, so it’s fairly soft. 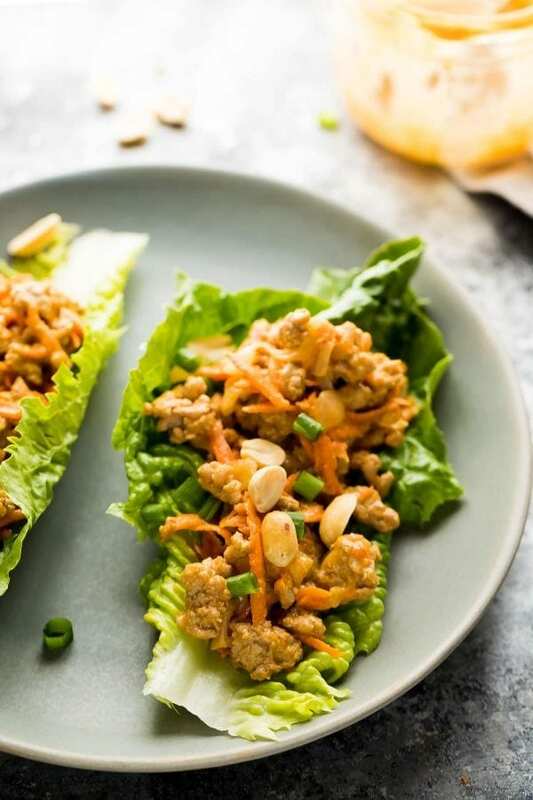 However, the lettuce wrap brings in some of the crunchiness that makes it delicious (and healthy). Another great thing about these is that you can easily warm them up in the microwave and eat. Overall, the meal will have a good amount of fats and protein and not that many carbs. It’s great for both dinner and lunch time. There are a couple of things I love about this recipe. First of all, the low amount of carbs. Second, it’s very easy to make, simple and yet nutritious. Third, you can eat it at any time of the day. All you have to do is cook it and pack it up. And then, whenever you’re down for breakfast or lunch, just distribute some shredded cheese over it and heat it up. Adding fresh cheese to the meal before warming it up gives it a sense of freshness. So, definitely, do that. 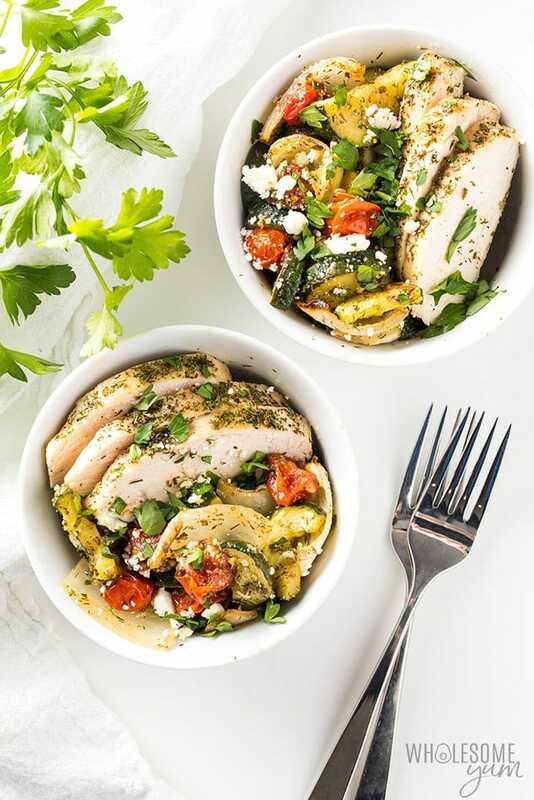 These chicken fajita bowls are absolutely delicious. 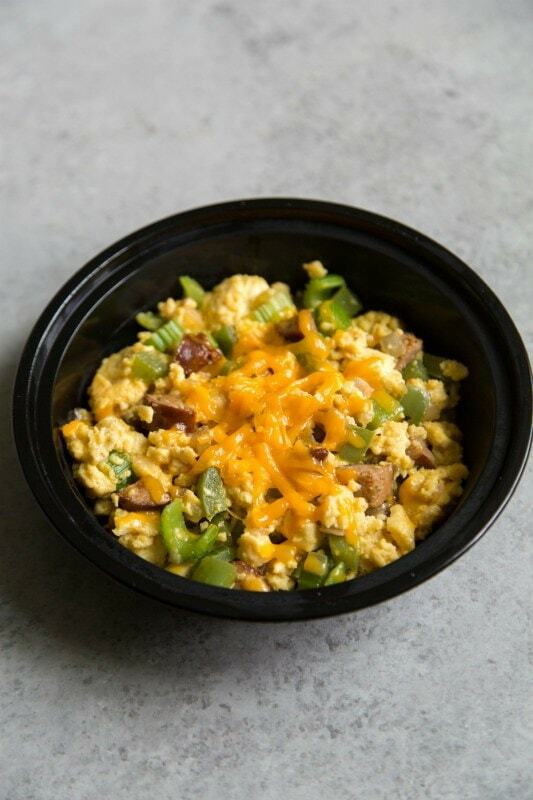 They come with cauliflower rice that’ll save you from adding all those extra carbs to your diet. While it might seem difficult to make cauliflower rice, it really isn’t. All you need is a steaming basket (like this one here) and a food processor. The products I recommend are budget friendly because there is really no need to spend a ton of $$ to get good quality kitchen appliances. Invest $50 and eat healthier for the rest of your life, quite literally. Anyway, if you enjoy the flavors of paprika, chili, and cayenne, this is the recipe to try. You can also adjust how hot you want it to be. Another thing to note: spicier food tends to stay good for longer. 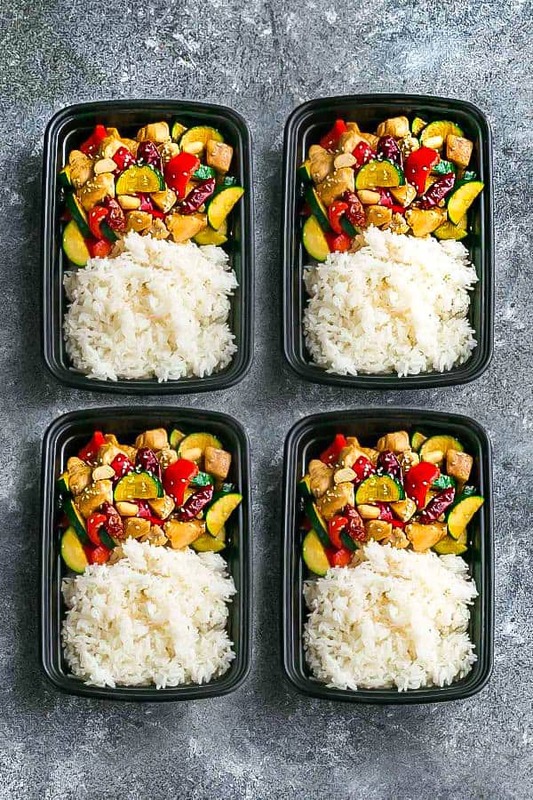 So, if you’re meal prepping for more than 3 days, you might want to make it spicier to keep it fresh. If you’re looking for less spicy, softer flavors, try this recipe. This meal comes with a good amount of vegetables and chicken. Overall, a great option if you’re a fan of Mediterranean cuisine. It’s also a nice meal if you need to hit your protein goals. Great for someone who regularly works out and gets tired of eating the same type of chicken every day. 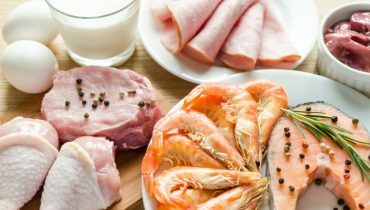 Adding a bit of variety to your keto menu cannot be a mistake. 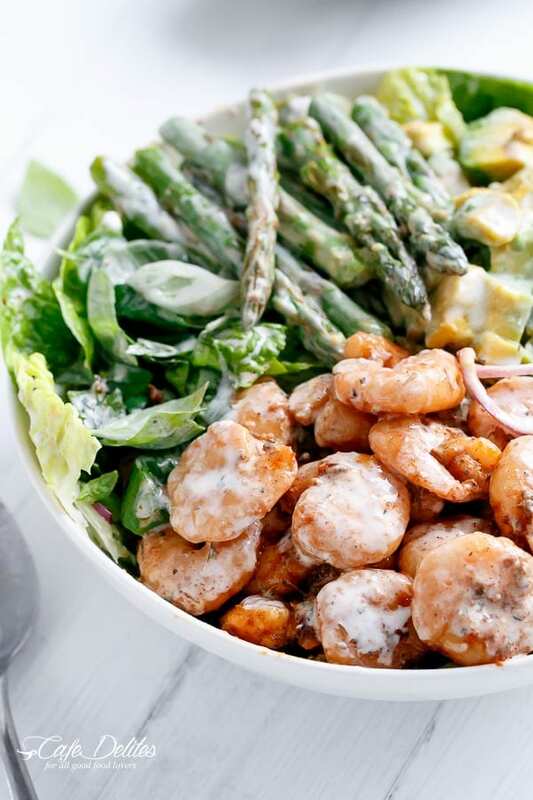 Shrimp is an amazing source of protein. Thus, you should definitely incorporate it into your diet. Especially if you’re trying to lose weight and build a little bit of muscle. 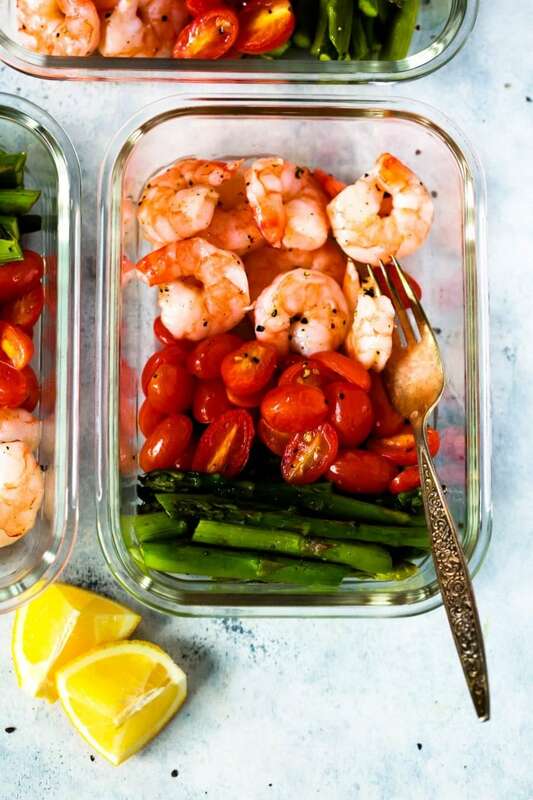 This little meal prep recipe contains cherry tomatoes, which are keto-friendly vegetables and asparagus. It’s another vegetable that’s high in protein and fiber. Additionally, it’s a good source of fiber. 100g of it contains 11% of the daily iron value. Overall, it just has a good texture and it’s one of those ingredients that go well with any dish. This recipe is very simple, takes as little as 20 minutes to make and you can have it for a couple of days in a row. It’s a good ketogenic lunch recipe since it’s very high in proteins and fats. So, you’ll be packed with energy for the rest of the day. If mixing up rice, bits of meat and other veggies have always been your thing, then you might be missing out on that. That’s mostly because you cannot really eat rice on the Ketogenic diet. 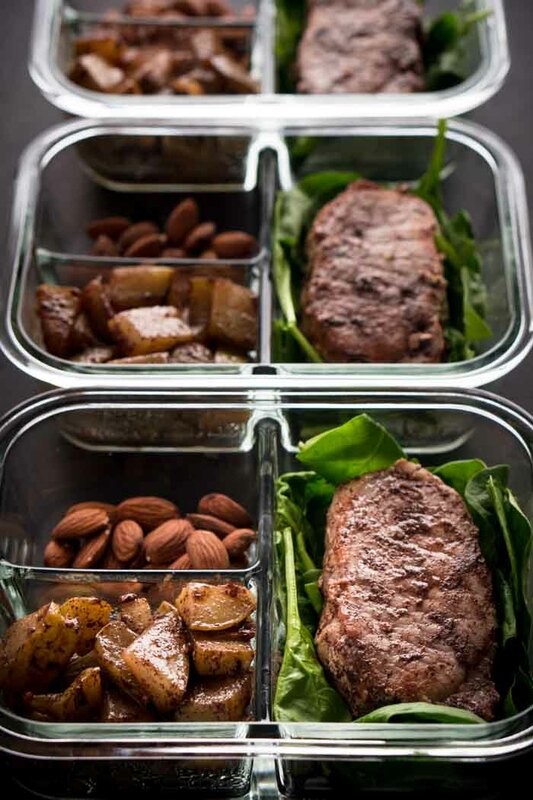 So, try this low carb meal prep that’s so easy to make. You just throw everything in and cook it. You also have all the freedom to play with spices and sauces too. Also, it’s easy to pack and bring to work. Thus, it’s a perfect dish for lunch at work. This is an amazing yet simple salad for anyone who’s on the keto diet. It’s easy to make and has loads of fat and protein. I wouldn’t say that’s the most exciting meal you can have but it’s definitely great for meal prep. Additionally, you can just add the vegetables you like and make the dish different each time. 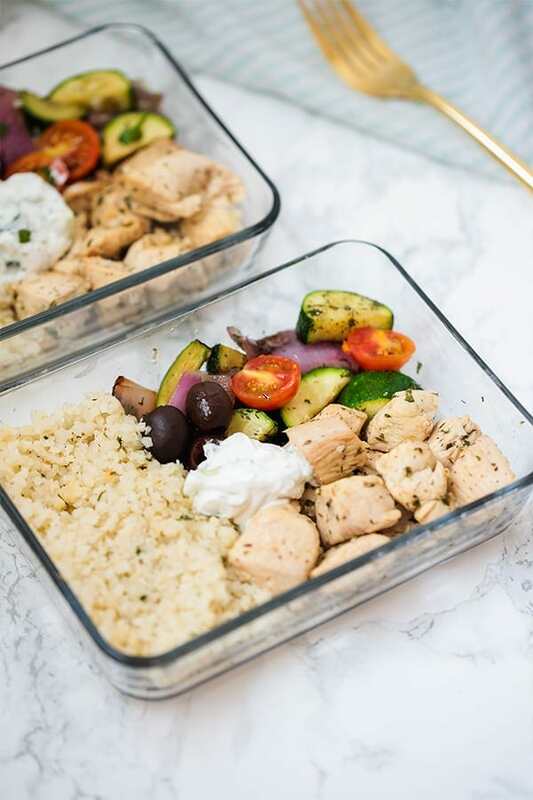 Bring Greek cuisine right into your home with this simple meal prep idea. 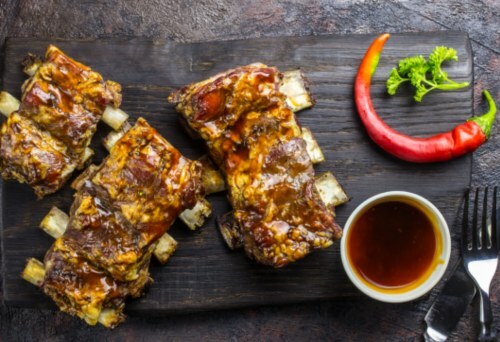 It’s very high in protein, so it’s a perfect dish for someone who wants to build some muscle. A combination of parsley, oregano, dill, feta, and garlic truly creates Greek flavors that you cannot simply forget. Also, this is a great recipe for lunchtime or a light dinner when you just want to fill up but not feel too full. So, if you need to stay productive for the rest of the day, definitely go for this recipe. It’ll give you just the right amount of energy without making you feel sleepy. 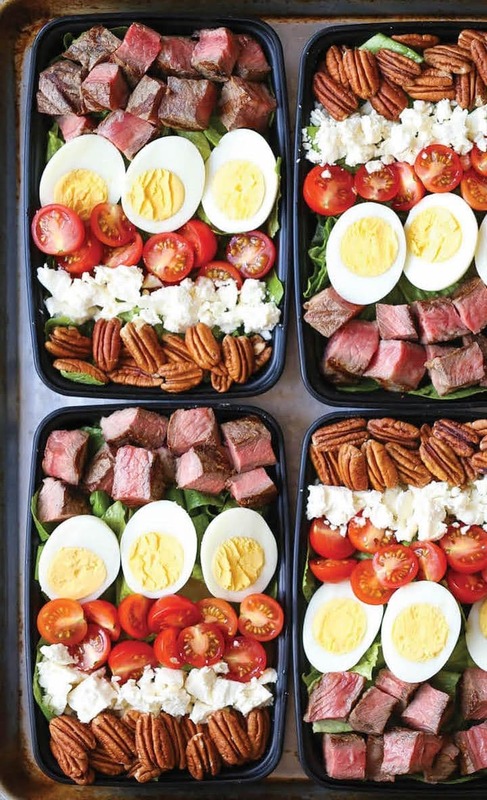 This meal prep is great when you’re absolutely bored with everything you’ve already had. These pork chops are not hard to make but taste absolutely delicious. Cinnamon, nutmeg and a little bit of sweetener make for a fantastic dinner. The great part about it is that you can meal prep it and eat it for a couple of days. This is the sort of meal even the kids will love, mostly because of the sweetness. Also, if you want to keep it healthy, use erythritol. It’s the healthiest sweetener out there so far as it doesn’t damage the gut lining. You can get it here. If you’re a fan of buffalo chicken, you know how heavy on stomach greasy it can be. Here is a lighter and healthier version of the dish. Make sure you get some delicious sweet peppers for the recipe too because these will highly impact the overall taste of the meal. The fresher the peppers, the better. Anyway, it’s a great dish to bring to work, especially if you do have a few buffalo chicken fans in your workplace. 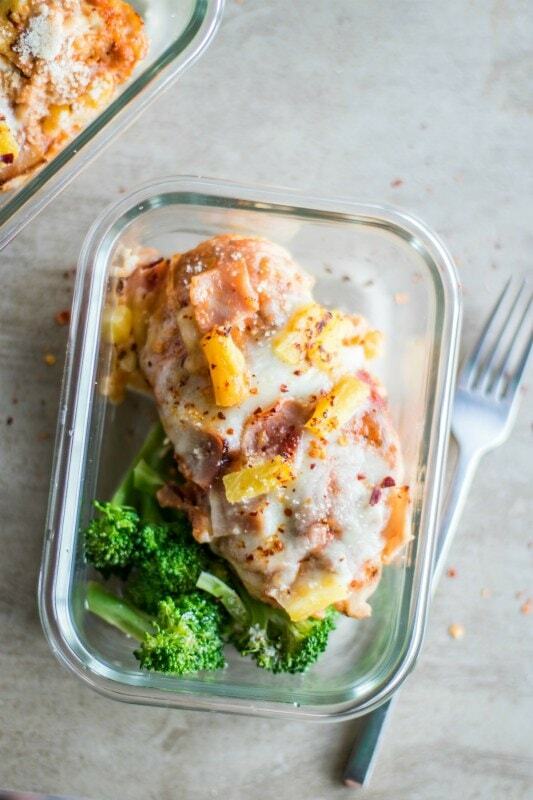 If you’re a Hawaiian pizza fan like me, you’ll love this recipe. If you don’t believe that humans should eat pizzas with pineapples, it’s better to skip this one. Anyway, this low carb meal is great for meal prep. You just cook the fake pizza in the oven, cut it all up and keep it in containers. This truly tastes delicious with either green beans or broccoli. The cheese, chicken, and pineapple create the flavors of the real Hawaiian pizza. These ham rolls are super easy to make, very easy to pack and are delicious. It’s the sort of lunch you want to have when there is simply no time to cook. 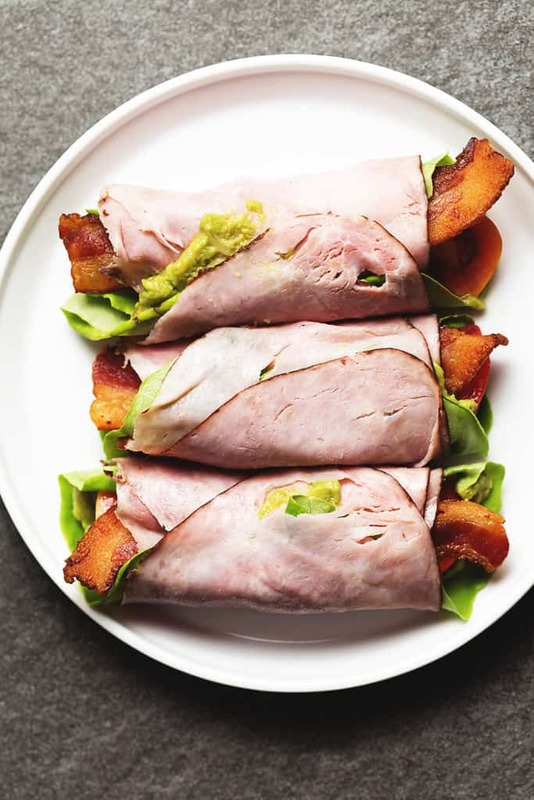 All you’ll need for these roll-ups are ham, lettuce, tomato, avocado, bacon, salt, and pepper. As well as imagination! Feel free to improvise and add vegetables for your choice. A boiled egg on the side can go well with these roll-ups too. 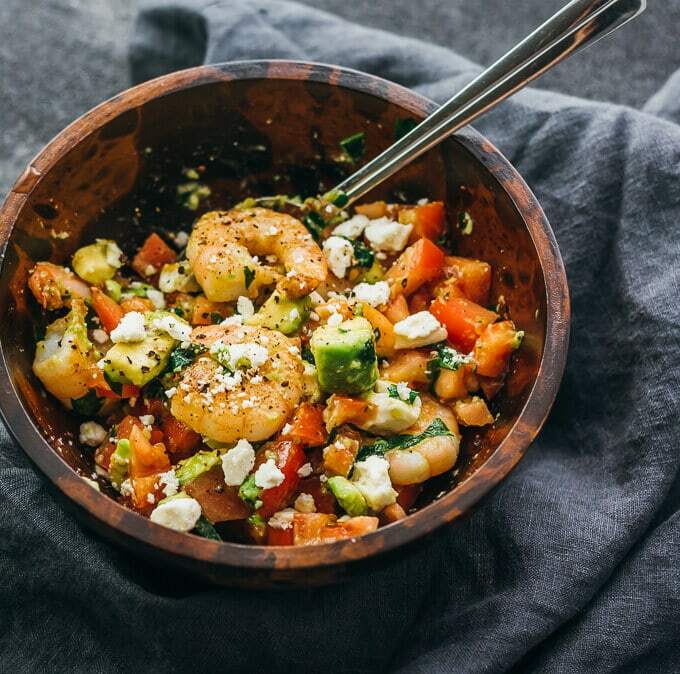 If you’re down to eat some cold salad, this shrimp, avocado, tomato, and feta salad will provide you with all the macros you need. You’ll get enough proteins, a high amount of fats and very little of carbs. What’s great about it is that you don’t need to warm it up, in case you don’t have a microwave at work. Nevertheless, it’s absolutely delicious. I recommend making this one when you’re tired of eating meat all the time. 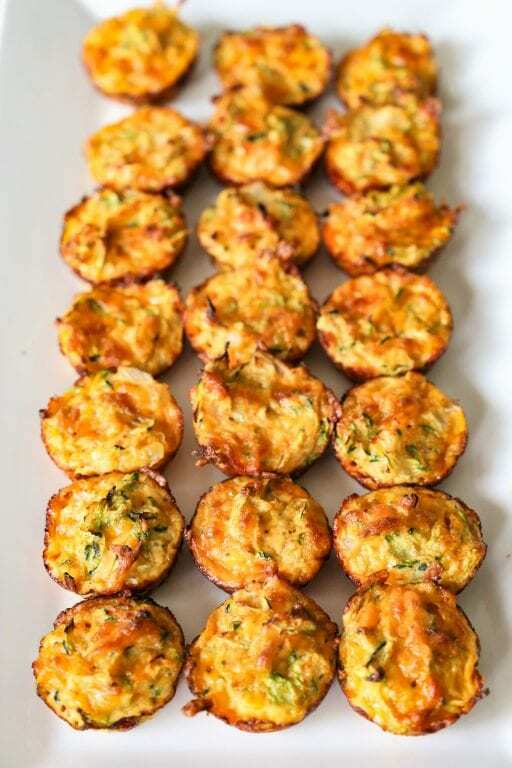 These zucchini tots are great for snacking when you’re on the ketogenic diet. So, it’s good just to have a bunch of these either at home or at work when you’re trying to lose weight. It’s really just zucchini slices with cheese and egg on top of it. The onion gives it a bit of a nicer taste too. You can bake these in a mini muffin pan like this one here. It’s also a good way to help your kids get used to eating zucchini! A simple but delicious recipe that‘s great for a quick work lunch. That‘s especially if you‘re a secret Chinese cuisine fan. 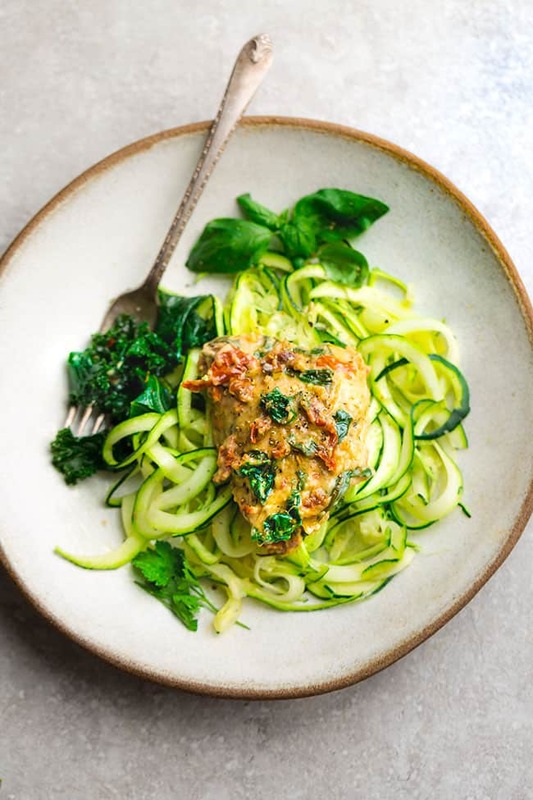 A few things to note: use either cauliflower rice or zucchini noodles instead of regular rice with the recipe. In that way, you‘ll avoid all the unnecessary carbs. Also, since it‘s an instant pot recipe, you‘ll need the device. I recommend this instant pot, it‘s sturdy, works well and is on the cheaper side. Tuscan is a region in central Italy, so this recipe truly represents the flavors of Italian cuisine. If you’re ready to have an Italian dinner or lunch, try this meal. 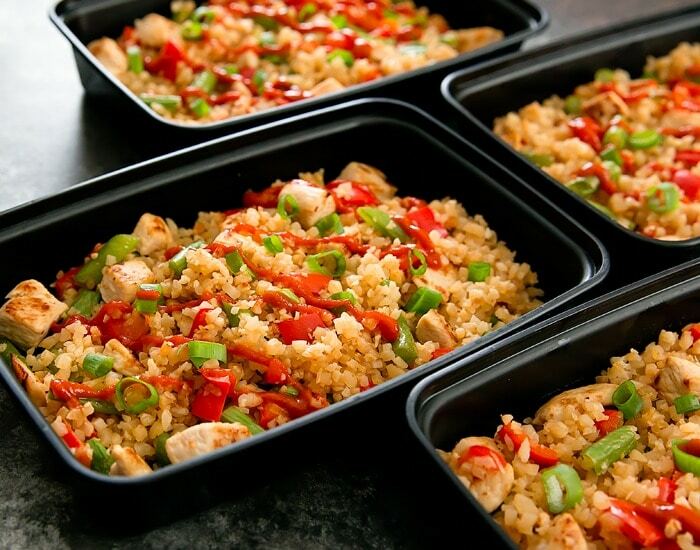 It cooks up in just 30 minutes and you can meal prep it for upcoming days. However, do understand that the creamy sauce might not taste the same after a couple of days. The sauce consists of parmesan cheese, heavy cream, chicken broth, garlic, and Italian seasoning. So, it’s as Italian as it can get! Serve it with either cauliflower rice of spiralized zucchini. To make it you’ll need a spiral slicer. Here is a cheap but sturdy one. 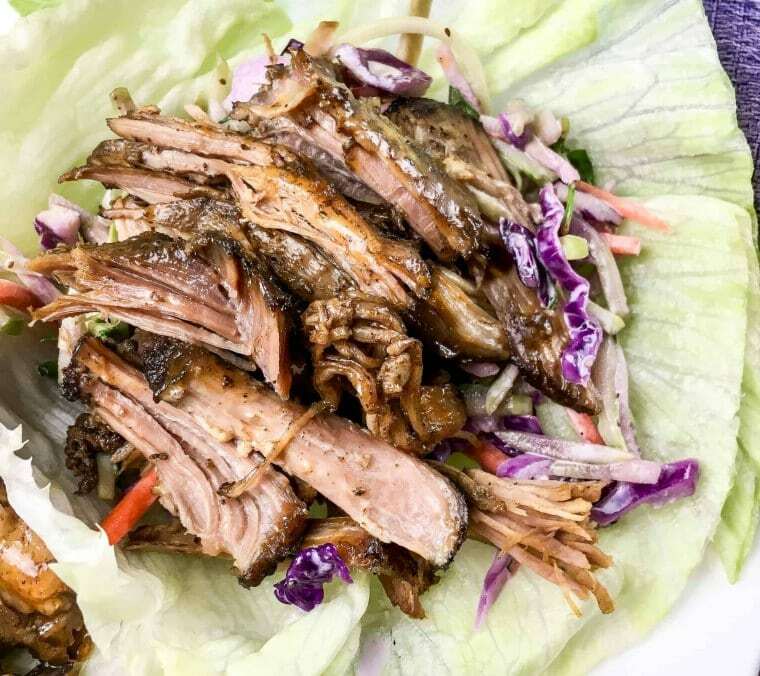 For all pork lovers out there, this is a healthy pulled pork recipe. For this one, you’ll need a slow cooker. Here is a good quality crockpot that has a touchpad. It sturdy works like a bee and doesn’t cost a lot. This pulled pork is extra soft and full of flavors. That’s because it cooks for around 4 hours, so that’s enough for all the spices and herbs to infuse the meat. Eat it with lettuce leaves and enjoy the taste. Taco can be a real carb bomb, so you might think that it’s not a dish you can have when you’re on keto. Well, that’s not true at all. This taco salad is a great example of that. It’s truly an easy meal prep lunch. You can cook it up in 30 minutes and eat for 3 days in a row. The good thing about this recipe is that you can improvise not only in terms of spices but ingredients too. If you feel like you’re not getting enough protein, feel free to add black beans. If the cheese is not really your thing, you can always swap it with avocado. In that way, you’ll get more healthy fats into your diet and hit your fat goals. That’s especially important if you’re on the keto diet. I am a big fan of stir fry dishes. That’s mostly because they’re easy to make and you cannot really go wrong with them. So, if you’re not a very good cook, start with stir-fries and go from there. This particular fry is called steak fry because its main ingredient is beef. Thus, if you’re a fan of this meat, definitely give it a try. 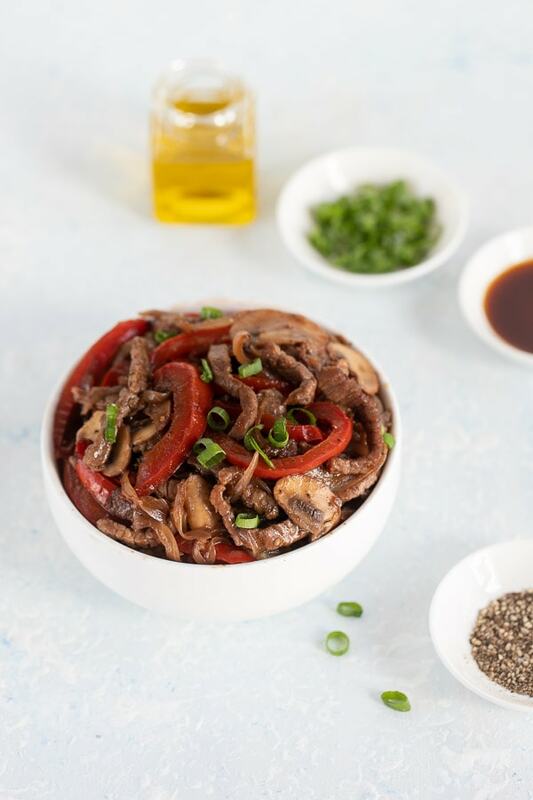 The minced garlic and ginger give the recipe a powerful flavor that will melt your heart. 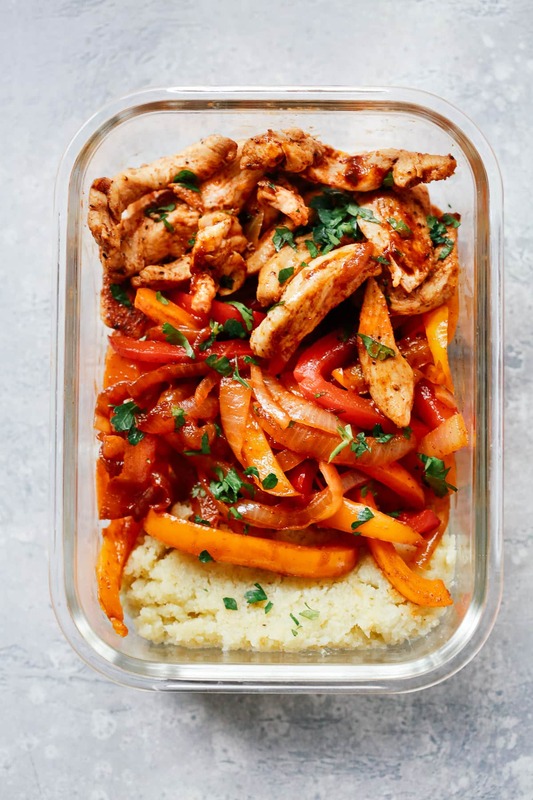 If you’re looking to meal prep something in less than 10 minutes and bring it to work, this is a perfect recipe. This avocado and shrimp salad is full of proteins and fats. The shrimp has an amazing taste but obviously, its flavors all depend on spices you use. So, don’t be afraid to throw in your favorite herbs, a lot of garlic and other spices. Let me know if you’re enjoying any of these meal prep ideas. 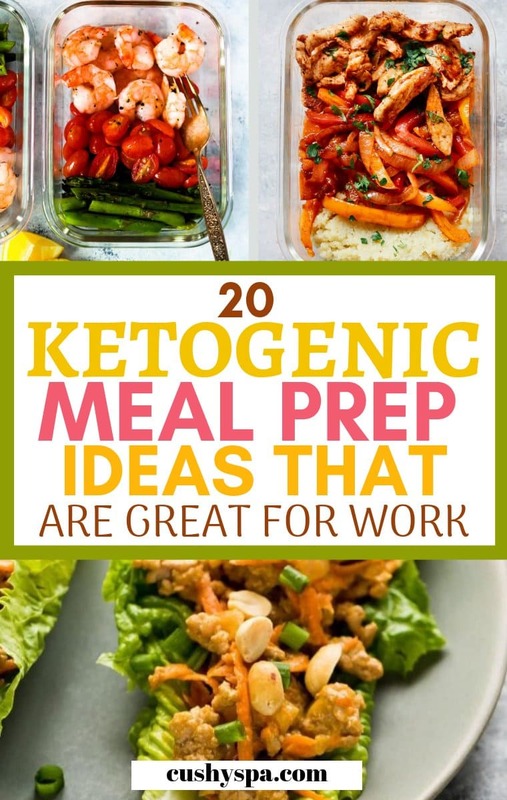 Have fun eating keto and feel free to improvise when it comes to these recipes! 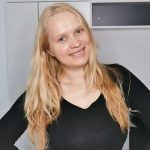 Hi I’ve just started my keto diet and need some hints and tips. On the keto diet please. You can also subscribe to my email newsletter. The subscription box is in the article.